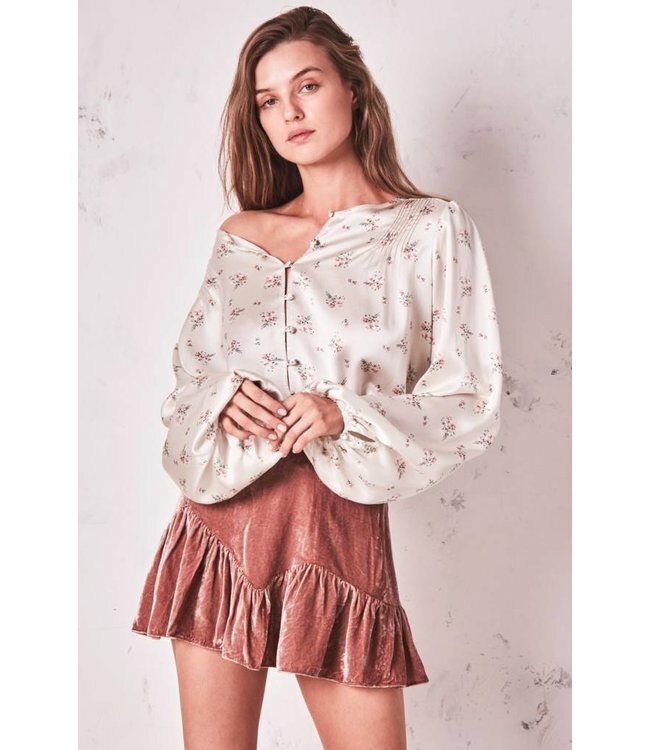 Love Shack Fancy Talia Top - Refinery Clothing Co. The Talia Top in golden silk patterned with a faint bouquet is resplendent with feminine charms. The vintage-based print is enchanting on the smooth and airy blouse, which drapes through the bodice.